Ohio - Police in suburban Cleveland say a half-naked man intentionally crashed his car into a closed convenience store to get beer, injuring himself and a store employee. 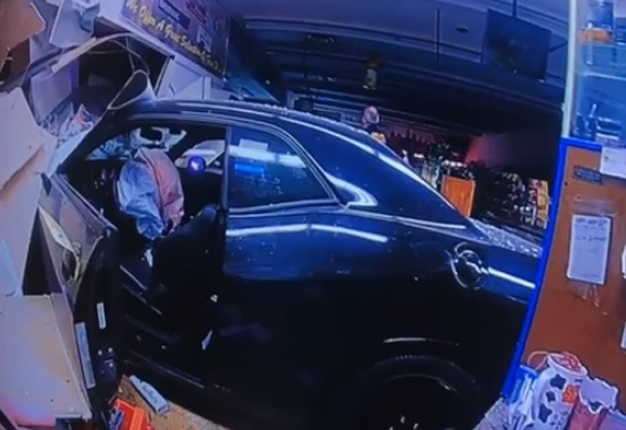 Rocky River police say the 45-year-old driver was wearing nothing from the waist down when he crashed through a store wall early Sunday and told the worker he needed beer. Police say the man barricaded himself in a beer cooler and told police to shoot him, but they subdued him with a stun device. The driver was taken to a hospital, as was the store employee, who suffered leg and chest injuries that weren't considered critical. The driver has been charged with impaired driving. Police say the worker was fortunate that a deli counter was between him and the car, preventing more serious injuries. Watch as police arrive at the scene. WARNING: This video contains graphic language. Tyres are vital to the safety of the driver, passengers as well as other road users. Therefore being tyre-savvy is critical to safe driving in SA.